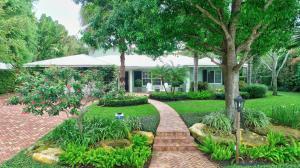 Lake Ida Gardens is a residential community located in Delray Beach, Palm Beach County, Florida. Lake Ida Gardens is comprised of one story single family homes with each sitting on approximately 1/2 acre of land. Homes in Lake Ida Gardens feature gourmet kitchens, granite counters, wood cabinetry, high ceilings, stainless steel appliances, French doors, hardwood flooring, swimming pools, walk in closets, and patios. The community is located to A rated schools, golf, parks, shopping, dining, museums, theaters, and major highways. Lake Ida Gardens in Delray Beach is really a wonderful location. The Delray Beach location is amazing. But, if this isn't the community for you, you might like one of the other local communities like Tivoli Isles or Lake Shore Estates or Mallory Square that are located here as well.